"City are the highest-scoring team in the Premier League this season, and they'll be desperate to put a marker down before Liverpool play in the Merseyside derby on Sunday, especially given the Reds scored five in midweek." Admittedly Bournemouth's major woes have been away from home - they've now lost 10 on the spin on the road, nine in the league - but as I regular say in this column, they strike me as a team that knows how to play only one way and when it goes wrong then they can concede goals for fun. Credit must go to Eddie Howe for sticking to what he believes in - and that's to play attacking football - and arguably there's no better time to stick to his principles than now, with the Cherries marooned in mid-table, safe from relegation but with little chance of climbing higher than the top eight. But you sense that if Bournemouth are ever going to become a regular top 10 performer then they must adopt a more defensive approach against the big guns. Right now however it seems like they don't know how to defend. The Cherries conceded five against Arsenal in midweek and only Cardiff and Fulham have conceded more goals than Howe's men this term. 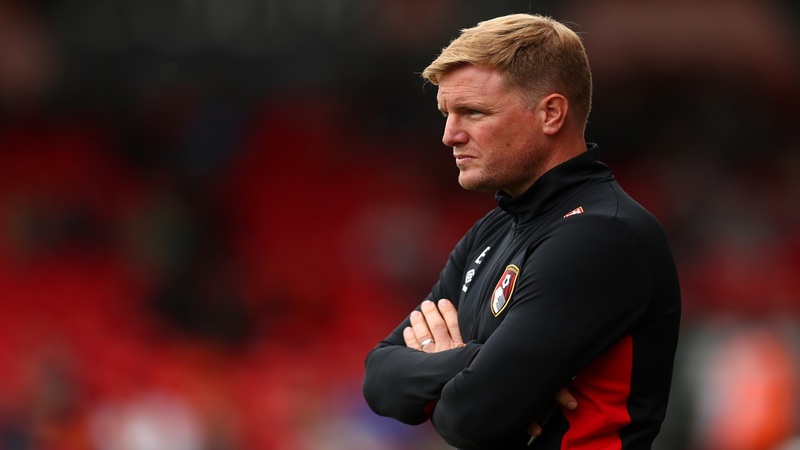 The bad news ahead of Saturday's clash with Man City is that Bournemouth are facing a side that has beaten them in all seven meetings since the Cherries were promoted, conceding 24 goals in the process, and conceding at least three goals in a game in five of those seven meetings. It's impossible to look beyond something similar here; a Man City win with Pep Guardiola's men scoring at least three or four goals. City are the highest-scoring team in the Premier League this season, and they'll be desperate to put a marker down before Liverpool play in the Merseyside derby on Sunday, especially given the Reds scored five in midweek. We can get odds of around 7/4 about City covering a -2 goal handicap, but that would mean that they have to score at least three times, and possibly more should the Cherries get on the scoresheet themselves. Instead then, we'll back City to win by scoring at least four goals; the Any Other Away Win options is [3.4] in the Correct Score market. This is a huge game for Brighton. Fail to take all three points against bottom-of-the-table Huddersfield and they really will be staring down the barrel of relegation. The pressure on Chris Hughton and his team must be immense ahead of this pivotal clash. The Seagulls looked certainties to be a mid-table side throughout the season when they were occupying a top 10 position before Christmas, but a dreadful run of form has seen them drop to 16th in the table, just two points above the relegation zone. As I always say in this game, breaking a winless run is one of the hardest things to do in football. Hughton's men have of course accumulated most of their points at the Amex Stadium, and it's in front of their own fans where they undoubtedly play their best football. But again, that will just add more pressure ahead of Saturday's clash with the Terriers. They really will see this as a 'must-win' encounter. And that can bring about its own problems. Brighton haven't won a league game for over two months, and in their most recent home match they were well beaten by Burnley, so it's hard to have any confidence in them winning this game at odds-on, even allowing for the opposition. Huddersfield's situation is completely different to that of Brighton's. The Terriers will almost certainly have resigned themselves to relegation already and that perhaps releases all pressure on them in games like this. They should go to the Amex in confident manner following their midweek win over Wolves, and it's not too difficult to envisage Jan Siewert's men frustrating the hots and coming away with at least a point. Neither Burnley or Palace will feel completely safe from relegation given they are both just five points above the drop zone, but they are two of the more in-form sides in the bottom half of the table and it's unlikely that they'll get dragged back into the mix. Having said that, both arrive at this game on the back of a midweek defeats, so a loss here - should there be a loser - will suddenly turn what has been a good run of form into back-to-back defeats and possibly result in one of them being just two points above the relegation zone. 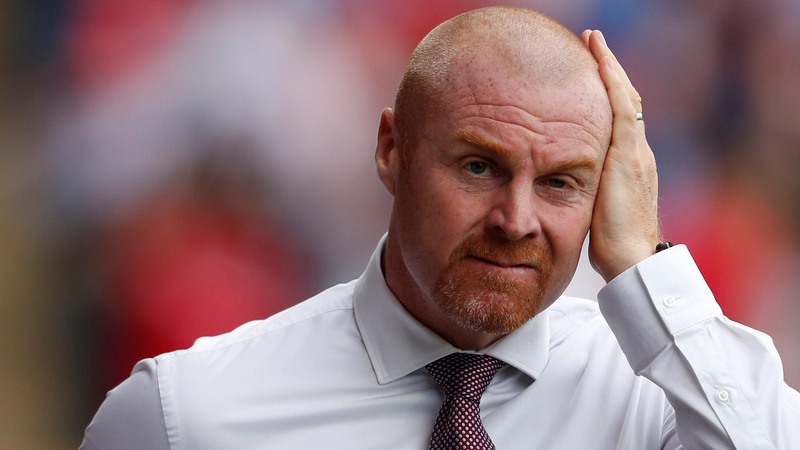 The Clarets haven't lost on home soil since Boxing Day but my concern is that they haven't kept a clean sheet in six outings now, and that's unusual for an 'in-form' Sean Dyche side. Looking at their recent games they've conceded a lot of goal attempts to the opposition, and although Tom Heaton has been in superb form they surely can't keep conceding so many chances and picking up points at the same time. Crystal Palace's main problem this season has been scoring goals, or rather converting the many chances that the team creates. But they have improved massively in recent months, especially away from home where they scored three away to Liverpool and four at Leicester in recent road trips. In fact, rather under the radar, Roy Hodgson's men have scored at least once in 11 successive games now and you just feel that they are really moving in the right direction. I just can't see this game ending goalless. I feel both teams are in good enough form to find the back of the net but my gut feeling is that the Eagles are playing the more fluent attacking football, and if they have another good day in front of goal then they'll outscore their opponents on Saturday.